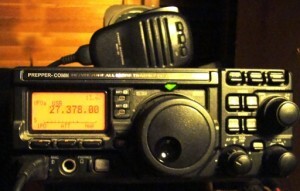 Home › Radio Articles › Is this the death of CB radio? 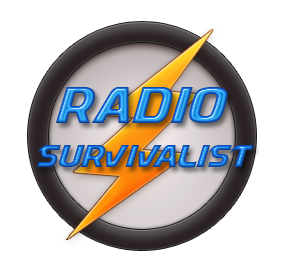 Citizens Band Radio is a service that you either love or hate but everyone can agree that CB radio has a purpose and a place in a survivalist’s communications plans. But we may be seeing an al out attack upon CB radio and our rights as Americans by the socialist government of Barack Hussein Obama. The FCC (Federal Communications Commission) has the CB radio service in its sights and one would wonder just how long the services has to live. The death of CB Radio? The FCC is proposing a massive rewrite of its Part 95 rules. These are the regulations that govern such public available two way radio as the General Mobile Radio Service , the Family Radio Service, and 11 meter C-B to mention only a few. WT Docket No. 10-119 was released on June 7th 2010 and is a catch all of proposed rules changes that would affect the General Mobile Radio Service the most. This, by ending its current licensing requirements and replacing these with what the FCC calls License by Rule. That’s an FCC term that kind of means doing to GMRS what it essentially did on 11 meter CB a few decades ago. It would additionally mean relaxing GMRS eligibility requirements and at the same time implementing mandatory 12 point 5 kilohertz channel spacing to the service. It also would also allow the transmission of Global Positioning System location information and user-generated text messages on certain GMRS channels. As to the Family Radio Service, the FCC proposes to prohibit the authorization of radios that combine FRS with other safety-related services. In other words, an FRS radio would have to be a Family Radio Service only transceiver and it would become illegal to manufacture an FRS radio that could work with or in any service other than channels where FRS is allocated to operate. This would mean an end to a whole slew of transceivers that have multiple service capability especially those that cover both FRS and GMRS or some with FRS, GMRS and Marine channel capability. Regarding 11 Meter CB, the FCC says it plans to evaluate various requirements regarding the Citizens Band Radio Service in order to determine whether they all are still needed. Of significance the FCC will be looking into CB’ers who work skip during band openings. It notes that amplifiers for CB stations are already illegal, but WT Docket No. 10-119 asks if the regulatory agency should consider prohibiting directional antennas for C-B operations in order to promote the services intended use for short range only communications. It also wants to know if it should consider power reductions for the CB Service and whether or not to permit the use of “hands-free” microphones.